A good balance between academics and extracurricular activities is crucial for the overall development and growth of the students. We focus and work towards the overall personality development of children and promote, as part of the curriculum, co-curricular activities such as sports, fine-arts, music, dance etc that will put us ahead of the curve. 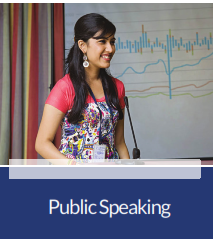 We also conduct classes that help build their soft skills, attitude, communication and presentation. We encourage our students to be take up leadership opportunities through the various work experience clubs and hobby classes. At TIST, we oﬀer a wide range of indoor and outdoor activities that students can choose from. To ensure our students get the best, we even outsource the classes to best outside facilitators. Every student has to take part in two co-curricular activities and such activities form a part of the timetable. Music, dance and drama give students an insight into the culture of a society, helping them appreciate the various art forms. Cultural activities go a long way in staying connected to our roots and learning more about our traditions. Engaging in literary activities helps develop reading and writing skills, aside from building confidence and helping students master public speaking. We organise programmes to bring out the orator, poet or writer within students, and give them the opportunity to showcase their talent. Our own in-house radio station is one of the most unique tools for honing public speaking and other creative skills of every TISTian. Specialised school clubs are a great way to encourage students to work together as a team and enhance their skillsets. Our clubs give students the autonomy to manage and lead each club’s activities, thus helping them develop their leadership skills, all while engaging in and learning new skills. As a part of our pursuit to sensitise our students and make them willing to contribute to the society, we encourage them to take part in various community service activities. 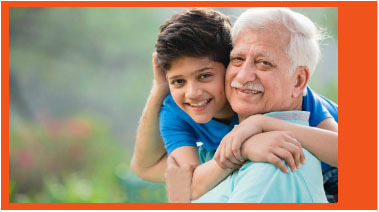 Initiatives like visiting the old-age homes and orphanages to understand their situations and support underprivileged children sensitises them to the needs of the community and to the world around them. The school will also partner with NGOs for pursuing this objective. There is more to sports than just learning how to play a particular game. Physical activity stimulates growth and leads to better physical and emotional health. It helps students in the development of self-esteem and self-worth. More importantly, it cultivates a sense of friendliness, sportsmanship and team spirit. TIST boasts a multipurpose playground for athletic events and team sports, swimming pool and a dedicated area for indoor games. Games are a part of the school timetable, scheduled to take place twice a week. Here is the list of sports and activities available on the TIST campus. As a part of the skill-building process and bringing children close to nature, TIST is introducing Gardening as a compulsory activity for all its students, to be held as part of the time-table. Introducing gardening at an early stage in life helps young minds understand and appreciate the people who grow our food, and the entire process that goes into it. It also encourages students to make healthy food choices.